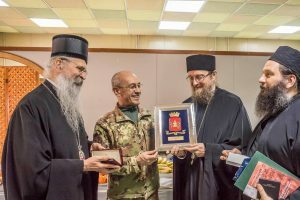 On May 29, 2015, the Holy Assembly of Hierarchs of the Serbian Orthodox Church added Archimandrite Sebastian (Dabovich), clergyman and preacher of the Gospel, God-pleasing servant of the holy life, and inspirer of many missionaries, to the Diptych of Saints of the Orthodox Church upon recommendation of the Episcopal Council of the Serbian Orthodox Church in North America. His feast day is assigned to November 30. Born to Serbian immigrants in San Francisco in 1863, Archimandrite Sebastian Dabovich has the distinction of being the first person born in the United States of America to be ordained as an Orthodox priest, and the first native-born American to be tonsured as an Orthodox monk. His greatest distinction, however, lies in the tremendous apostolic, pastoral, and literary work he accomplished during the forty-eight years of his priestly ministry. Known as the Father of Serbian Orthodoxy in America, he was responsible for the founding of several of the first Serbian churches in the New World. This, however, was only one part of his life’s work, for he tirelessly and zealously sought to spread the Orthodox Faith to all peoples, wherever he was called. 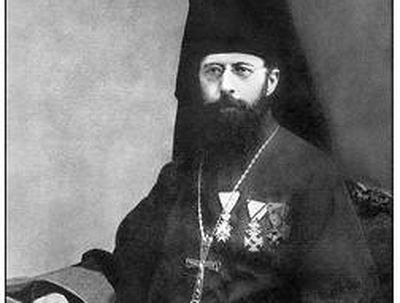 He organized parish communities of Orthodox Christians of varied ethnic backgrounds; took part in the work of St. Alexis Toth of Wilkes-Barre to bring former Uniates more fully into the Orthodox ethos and way of life; and labored to bring Episcopalians into the saving enclosure of the Orthodox Church. He was an Orthodox apostle of universal significance. Without any outside funding or organizational support, he carried the gospel of peace, ceaselessly traveling back and forth across the American continent, using every available mode of transportation—from stagecoach to railroad to foot. His wider ministry stretched from the Aleutian Peninsula of Alaska, to Russia and Japan, to small Balkan towns on the coasts of the Black and Adriatic Seas. By every report, Sebastian Dabovich was not one who would ask about jurisdictional or national affiliation before setting out on long journeys to minister to Orthodox Christians in mining communities, lumber camps, or far-distant towns or villages. He offered his pastoral services with a free hand to anyone who was in need. Just as he gave no thought to his own comforts as a youth, caring more for the needs of others than for his own concerns, Fr. 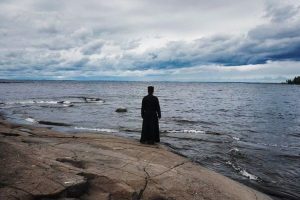 Sebastian denied himself all worldly comforts of home, family, or earthly possessions so that he could provide for the spiritual needs of the Russian, Serbian, Bulgarian, Greek, Syrian, or Arab Orthodox Christians who required his aid. As part of his missionary labors, Fr. Sebastian compiled one of the first English translations of the Divine Liturgy, and wrote and published, from his own meager means, some of the first English-language books of Orthodox catechism. 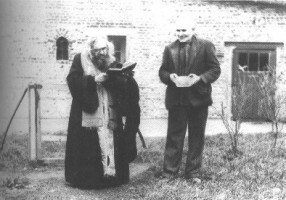 Besides bearing witness to his missionary and pastoral zeal, Fr. 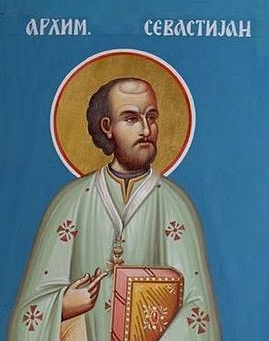 Sebastian’s books also testify to his ardent love for Jesus Christ and His Church, to the depth of his knowledge of the Orthodox Faith, to his careful adherence to the teachings of the Church, to his literary and poetic gifts, and to his profound sense of spiritual beauty. A large portion of the books consists of sermons he gave in the Russian Orthodox cathedral in San Francisco and in mission parishes on various feast days. These sermons reveal him as an inspired preacher whose words could soar to the heights and at the same time strike deeply the hearts of his listeners.